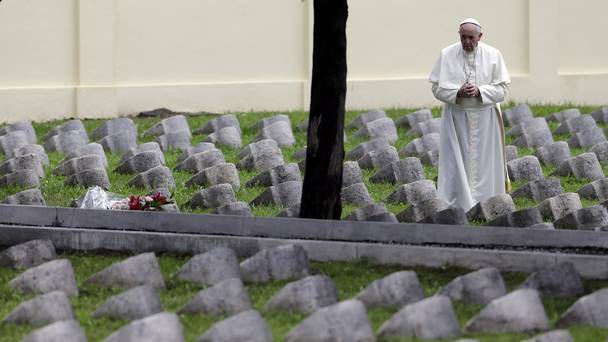 “War is big business” as far as the Vatican is concerned. It`s vast array of industrial complexes controlled by front organisations and front-men are always the winners in any wars. It`s similarly controlled banking institutions are also to the fore in bankrolling armed aggressors. Often times they are bankrolling both opposing sides of a conflict. Of course the Vatican never gets the blame for the wars, the convenient stooges it covertly controls always becomes the fall guy and receives the world`s condemnation. “The great war” and great ambition of the Vatican is the total annihilation of all Bible believing Christians and all Jews. The intensity of this “Great War” will manifest itself more and more as we draw ever closer to the return of the Lord Jesus Christ. Like many people, General Smedly Butler came to realise there is something rotten at the heart of “World Politics” but he never came to the realisation it is the Vatican which is the ultimate powerbroker. By the way, this is not Smedly Butler speaking it is an actor portraying his speech. There was a time in N.Ireland when the vast majority of “Unionists” understood the full extent of the intrigues of the Church Of Rome. In those days “Unionism” was strong and could take a stand even without the aid of a “British” government. Sadly it is no longer the case today, most “Unionists” have abandoned God and the Bible, consequently they are an easy prey for the Church or Rome. It has now reached the stage that most “Unionists” are incapable of standing up for anything! Hence you had the shameful climbdown on the last 12th day. “It is madness” to listen to the Antichrist or any of his emissaries no matter what guise they come in!